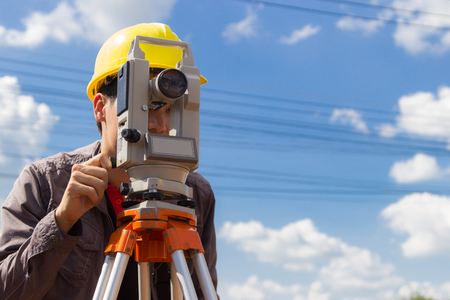 The Land surveying sector is undergoing some drastic changes in terms of technology. 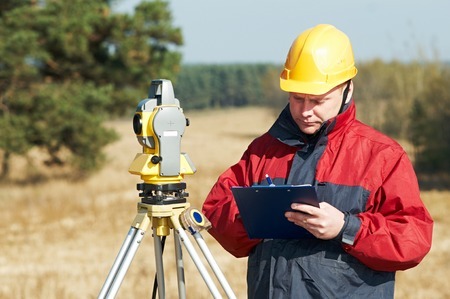 In the past, land surveying was often a time-consuming, costly process. New technologies have arisen that make the process faster and easier, especially in important, high volume industries such as the oil and gas industry. Technology is one of the things that distinguishes Landpoint from other surveyors. Landpoint realizes that oil and gas companies increasingly need more accurate data, faster turnaround times, and more cost-effective solutions, and has tailored its offering to address these challenges. 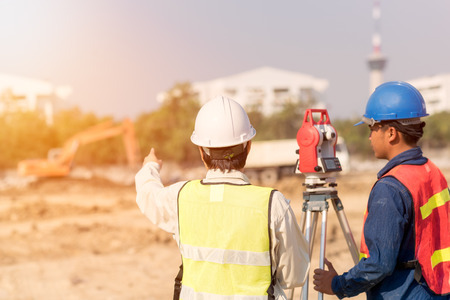 Here are just a few of the reasons why Landpoint can be considered the best choice for land surveys for oil and gas projects. Your data is a key component to your project’s success. Accurate surveying data will head off problems further down the line, making it easier to gauge potential risk factors and plan ahead. Traditional methods of surveying, while effective, can take time and require a lot of resources. Aerial surveys done by plane may be taken from such a high elevation that they may miss features on the ground. 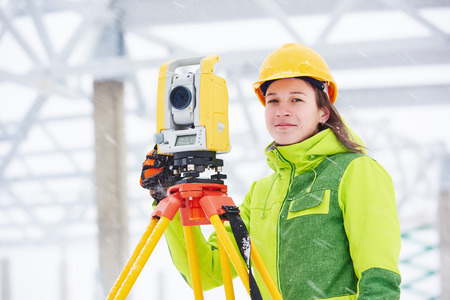 Ground surveying is time-consuming, costly, and may not be able to map large areas accurately. 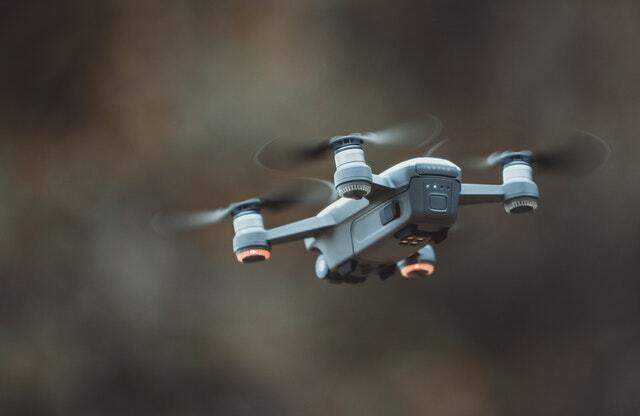 Landpoint’s high resolution manned aircraft camera systems and surveying drones can fly low without any safety concerns, as they are unmanned aerial vehicles. 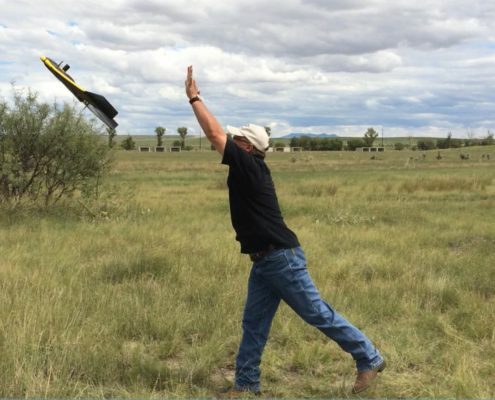 UAVs can acquire data down to 1 centimeter in resolution while sidestepping many of the major safety concerns and cost issues related to both plane-based aerial and ground surveying. This makes them ideal for pipeline surveying. A delay in surveying can be incredibly costly to an oil and gas project. Until surveying is completed, multiple facets of the project cannot be planned or permitted. Unexpected developments on the survey could lead to additional complications, which must be resolved before the project is able to move forward. Landpoint’s end-to-end data collection, analysis, and processing can reduce this time, ensuring that your project begins and ends on schedule. Through Landpoint, data can be turned around in as little as a few hours. A streamlined surveying process means fewer opportunities for error and fewer potential roadblocks. You won’t find yourself waiting for third-party processes to be completed with Landpoint. For an oil and gas company, saving on overhead and increasing profit margins are high priority actions. By reducing overhead, oil and gas companies will be able to better weather potential volatility within the market. By using the latest LiDAR technology and combining it with cloud solutions, Landpoint has developed an extremely fast way to acquire, process, and distribute survey data to oil and gas companies. This allows it to cut costs without reducing accuracy, allowing oil and gas companies can focus their budget on other areas of their processes and project. This is in conjunction with the savings offered by utilizing safer surveying methods overall. 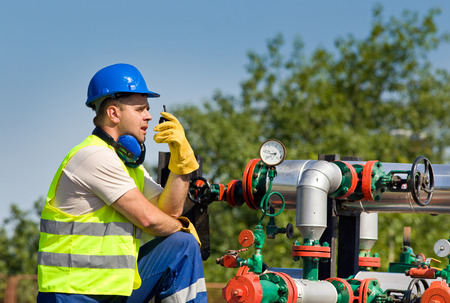 Landpoint is a proven leader within the field of oil and gas surveying. In the past three years, Landpoint was the recipient of the Oil and Gas Engineering Company of the year award, for its work in pipeline and oilfield infrastructure. In 2017 alone, Landpoint was able to survey over 1,000 miles of pipeline. Oil and gas companies interested in fast, effective, and accurate surveying can contact Landpoint directly for a quote on their project, and to find out more about why and how Landpoint outperforms the competition. Traditionally, wind turbine inspection has been a slow process that is inherently dangerous. Often, wind turbines would need to be inspected manually, both during maintenance and construction. Today, using drones for wind turbine inspection can vastly speed up the process, making it both easier and safer. 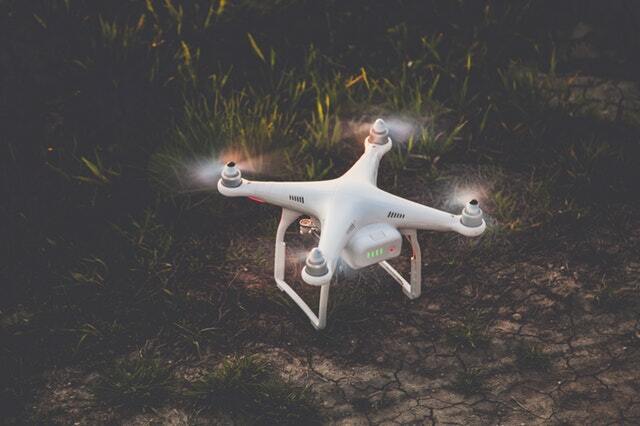 This post will take a look at the advantages of using drones, also known as unmanned aerial vehicles (UAVs), for wind turbine monitoring and maintenance. Through drones, wind farms may be able to conduct their standard operations and maintenance inspections up to four times faster. Drones can be deployed either in a broad spectrum over the entire landscape or to inspect a single wind turbine if there have been incidents recorded. 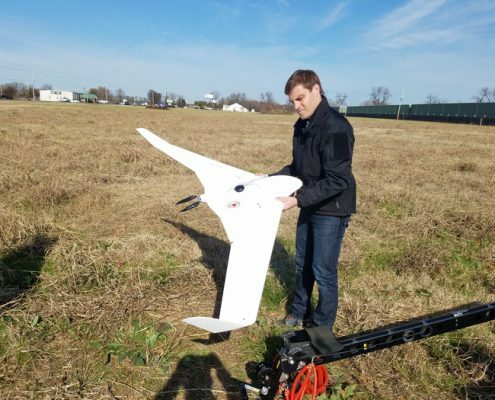 Drones can easily inspect wind turbines with the accuracy and acuity of a manual inspection, without putting a worker at risk or requiring them to access the turbine itself. 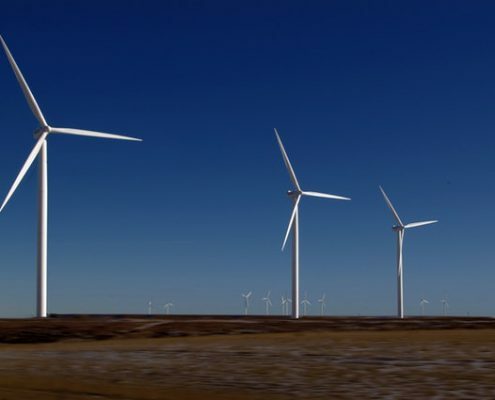 Not only does this reduce the dangers associated with inspection and maintenance, but it additionally reduces the prospect of accidental damage to the turbine. 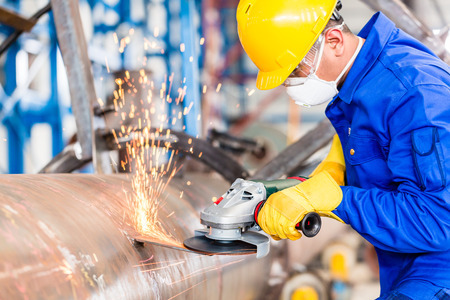 Every business wants to improve the safety of their operations for their employees. 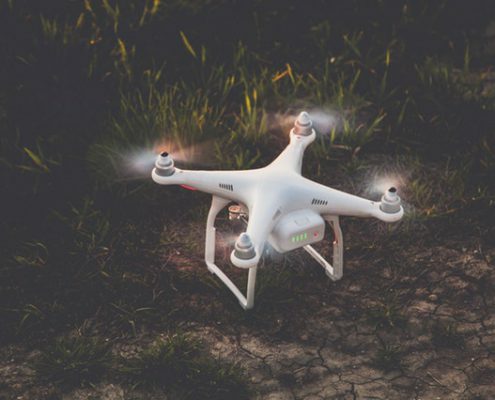 Drone technology uses completely unmanned solutions that represent no danger to the operator, which makes them highly preferred in terms of safety. Not only does this improve the worksite for employees but it also reduces delays. 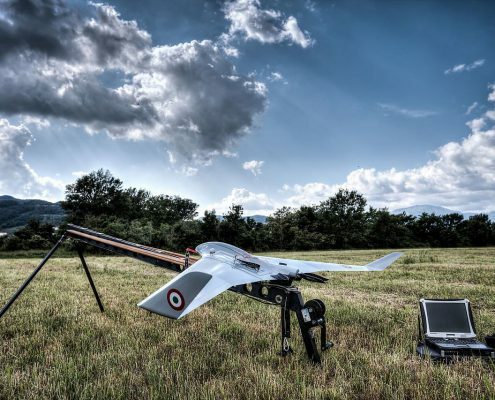 Apart from reducing the safety risk to personnel, UAVs produce high-resolution imagery of areas that personnel may not otherwise be able to reach. They can capture all angles and areas of a wind turbine, even those that a human being wouldn’t be able to access. Photos, videos, and live streams can be captured that are extremely accurate and in very high-resolution, which can aid in the diagnosis and discovery of problems. Comparatively, a manual technician will only be able to diagnose and identify what they can see when they inspect the turbine. 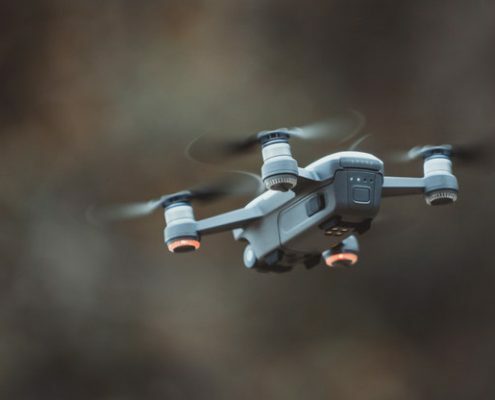 Further, drones can be used to cut down on potentially unnecessary inspections, as they can be used to investigate alarms or potential damage and to report back quickly. 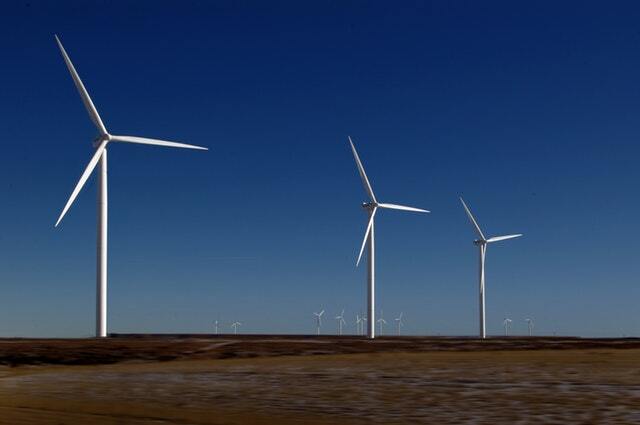 Through high-resolution scanning and simulation technology, drones can be used to create models of a wind turbine project, which can further be used to analyze the current maintenance and operational solutions and find improved operational strategies. 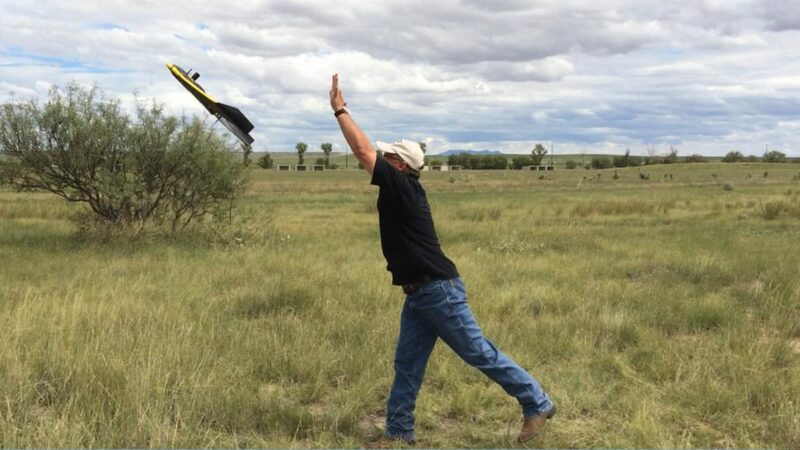 Drones can cover a lot of ground quickly, making them ideal for larger wind farms. What once would take a human team days to inspect can be done by a UAV in the matter of hours. By conducting these inspections regularly, businesses can key into potentially dangerous or costly issues before they become serious, saving them money. Drones can additionally be used during the construction process to better survey land on which wind turbines could potentially be placed. By utilizing drones during the construction, organizations can get survey data quickly. 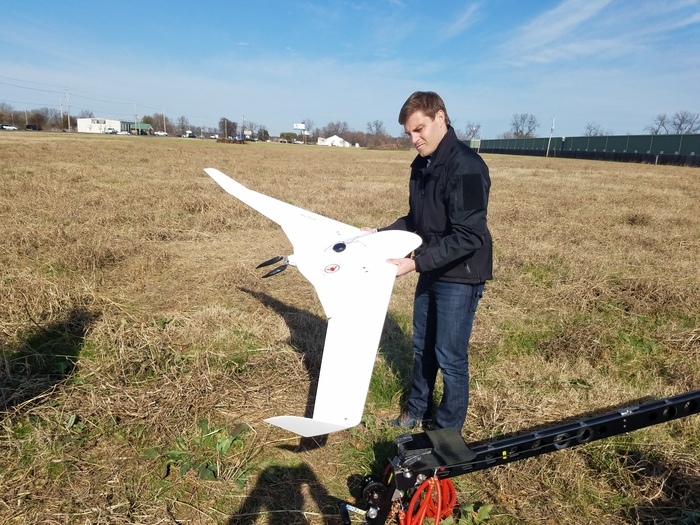 Drone services can streamline and optimize the maintenance and installation processes for wind turbines, providing support at every level of the project including the initial land survey. For more information about the incredible benefits that drone technology can provide, contact the experts at Landpoint. Through BIM modeling services, multiple parties can work together on the same digital infrastructure, running simulations, assessing costs, and identifying potential risks. Building information modeling services create a comprehensive digital representation of a project, which can be used by all involved parties. In this article, we’ll discuss some of the trends we can look forward to in the coming year. 78% of manufacturers believe that BIM is the future of project information. An ever-increasing number of contractors are implementing BIM, especially as it becomes necessary to tie together larger groups of collaborative entities. Business information modeling makes the process of managing a project in a comprehensive, consolidated fashion. Through better BIM modeling, contractors can access relevant project information faster and with greater levels of accuracy. 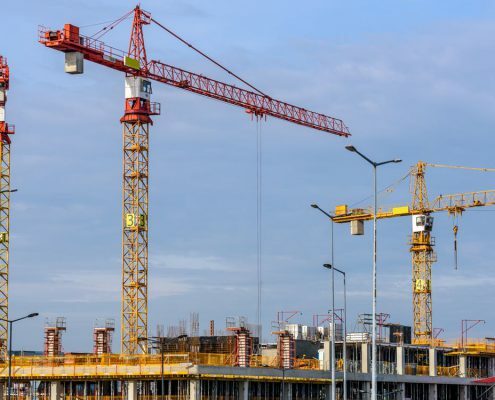 As more manufacturers and contractors begin relying upon BIM, engineers are going to find themselves being increasingly asked whether they are BIM ready. Working with BIM technology is going to become a necessity for those involved at every stage of development projects, as they improve upon and streamline the process of managing multiple parties. As BIM continues to grow as a discipline, the complexity of the modeling may become more substantial. BIM can already be used to visualize projects, simulate scenarios, analyze design elements, and more. In the future, these simulations and scenarios will become even more complex, and they will be able to pare down to the necessary information with greater detail and accuracy. As BIM evolves, it will become even more critical for contractors, engineers, and developers. Complex analytics, such as machine learning algorithms and artificial intelligence, may be used to run multiple simulations and optimizations, ultimately aiding in the reduction of development expenses and better, faster decision-making. 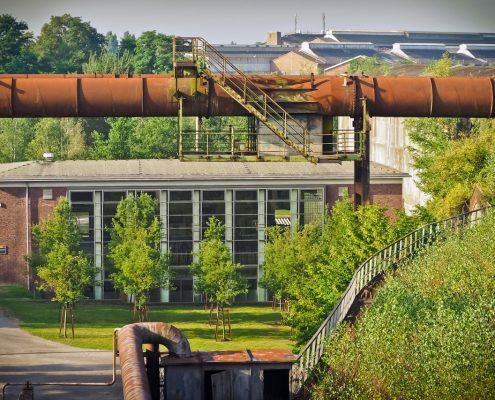 3D laser scanning is becoming an affordable method by which entire projects can be imported directly into computer generated imagery through 3D scans. 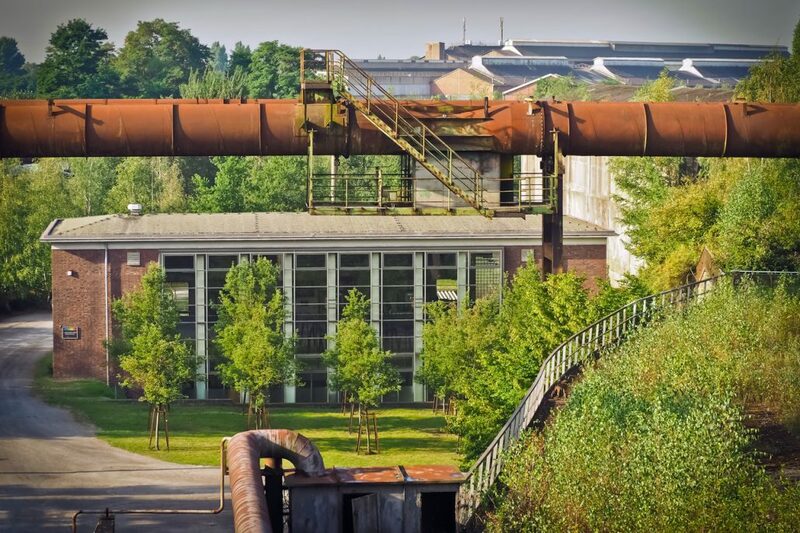 Though these types of laser scanning solutions used to be prohibitively expensive, they are becoming more affordable. 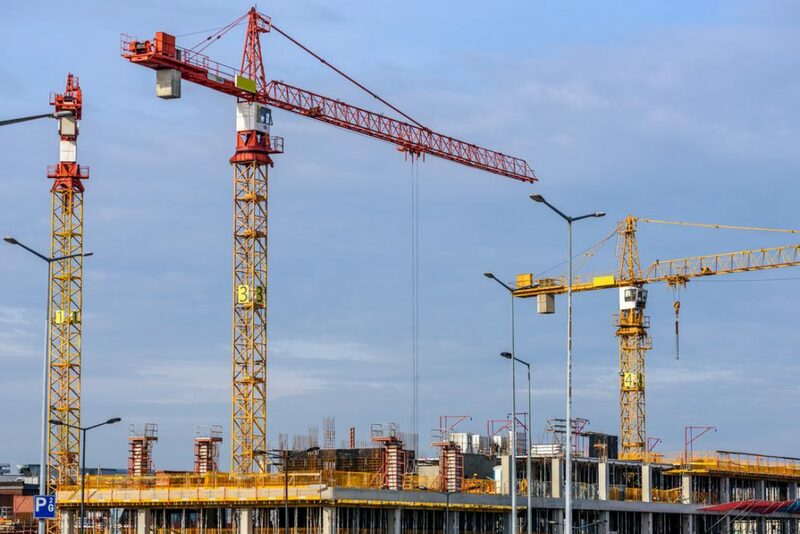 3D laser scanning will be used to import existing projects quickly and builds into building modeling services, thereby making it easier for teams and individuals to reference the current plans and run simulations related to the development. Though energy modeling has existed for some time, BIM in addition to complex analytics will be making the process of energy modeling both faster and more accurate. Through more accurate energy modeling, developers will be able to fine-tune the heating, cooling, and energy use of developments. 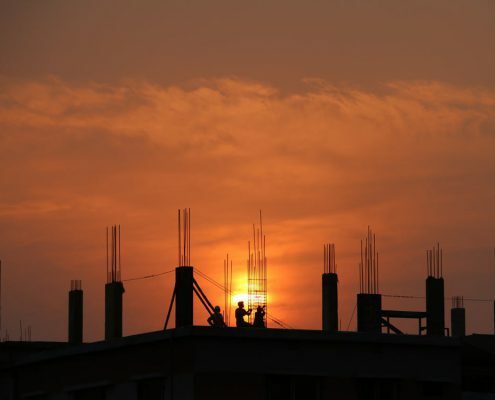 The ability of BIM to analyze and optimize solutions in a virtual simulation makes it easier for developers to create prefabricated, modular systems that do not have the traditional downsides of modular developments, such as an artificially constrained style. Computer-aided manufacturing can be used hand-in-hand with BIM to create efficient manufacturing processes. BIM technologies are still being developed and explored, but there’s a reason why many organizations are putting an emphasis on adopting these new building standards. Through BIM, engineers, architects, and developers can work together to fine-tune, maintain, and update projects. BIM can reduce the overall costs of a project while also neatly side-stepping many risks, providing the information needed for better decision making and simulations to assess environments, conditions, and potential challenges. Altogether, businesses would do well to explore BIM, as it will likely become an industry standard within the coming decade. 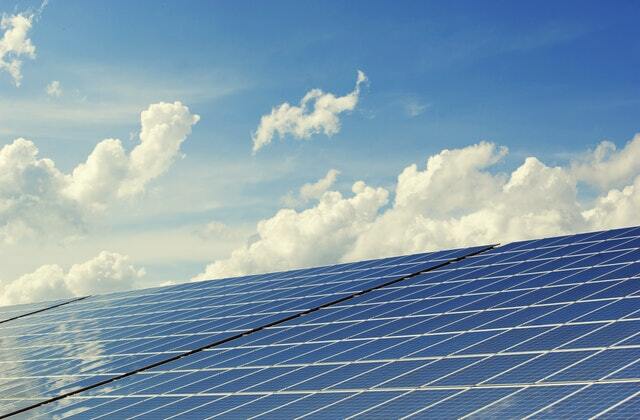 When it comes to solar energy, efficiency and cost-cutting are extraordinarily important. 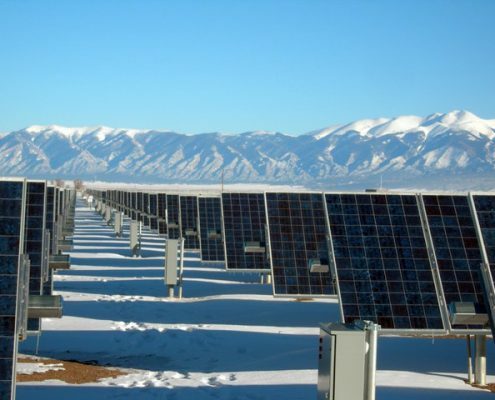 In a world that is increasingly looking toward clean energy, it becomes even more necessary to reduce the costs associated with placing solar panels, in addition to optimizing the panels that are placed. 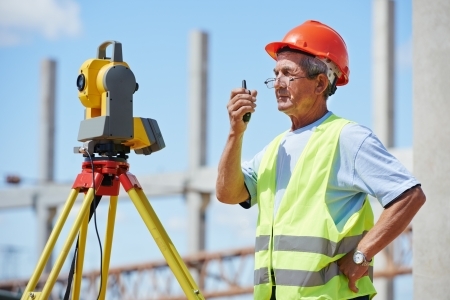 Many of these things can be achieved through better land surveying processes. In 2018, it’s likely that new technologies will be used to further refine the processes of land surveying related to solar energy. In this post, we will explore how solar energy land surveying is likely to change in 2018. In the past, solar land surveying often had to be completed manually. Either individuals had to conduct surveys on foot (costly and dangerous) or teams had to be sent out to conduct aerial scans (costly). Both of these methods were limited in some way, with manual surveyors being unable to cross treacherous terrain, and aerial scanning often being both expensive and dangerous. 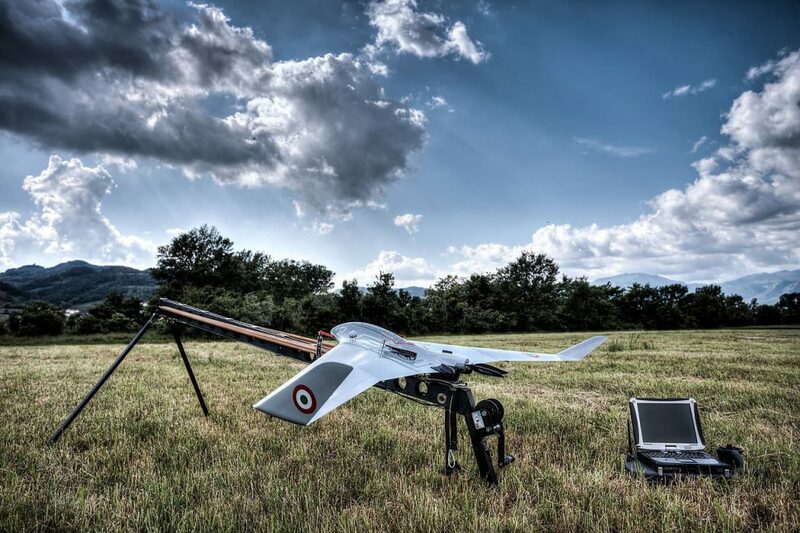 Today, there’s an answer: UAVs can be used to conduct aerial scans without manned teams and without the associated risks. UAVs can conduct solar land surveying quickly, exploring the entirety of the area without any personal risk to the operator. As UAVs can fly lower to the ground than manned vehicles, they can provide higher resolution scans than would otherwise be available. Not only does this mean that organizations can get their survey information faster, but also that it is more accurate. More accurate results decrease the chances that the solar organization could run into issues later on. 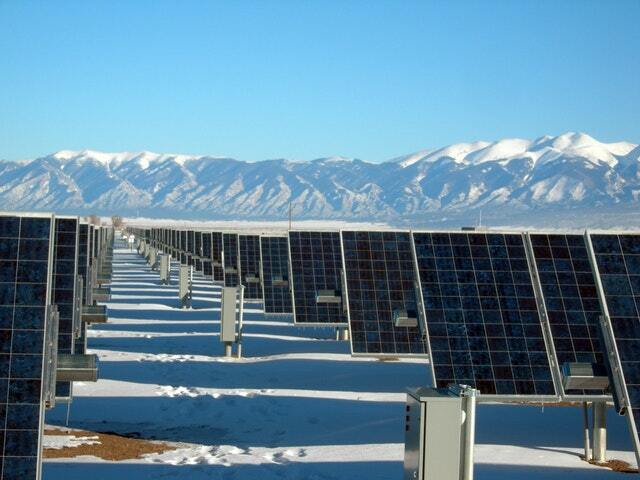 As you probably know, solar panel output is significantly impacted by panel positioning. Not only does the arc of the sun need to be considered, but solar panels need to be placed in a way that they won’t interfere with each other, while also taking up minimal amount of space. It’s often unavoidable that some panels will be disrupted throughout the day; ideally, the setup needs to be constructed to take advantage of the most sun possible. This can involve extraordinarily complex calculations. 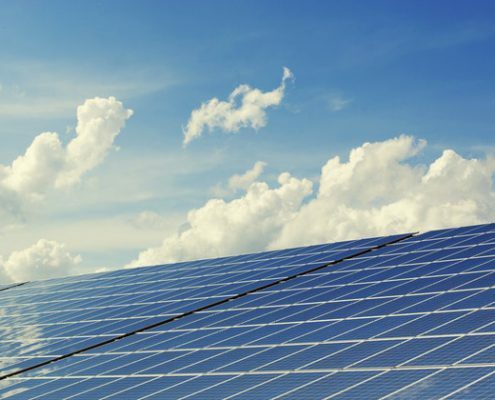 Moving forward, simulation and imaging programs will be used to analyze the optimal paths for solar panels, so they can use the least amount of land while yielding the best results throughout the day and the year. A tremendous amount of data will need to be analyzed to determine these optimal solutions, which is becoming possible through machine learning and advanced data analytics. 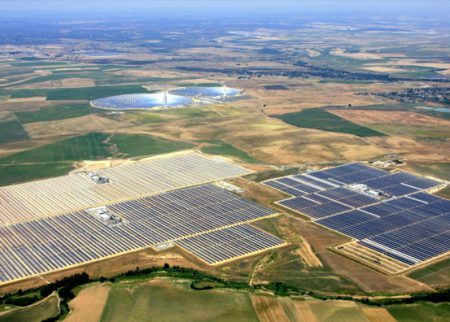 This process will begin with solar surveying, which will give solar companies large amounts of data regarding the terrain. Modern techniques, such as laser scanning, can create complete digital models of an area so a business can place their solar panels with the best possible positioning. This gets rid of much of the trial and error that would otherwise be required. An increase of accuracy regarding how solar panels are placed can ultimately lead to some substantial improvements in the efficiency and operation of these solar panels. 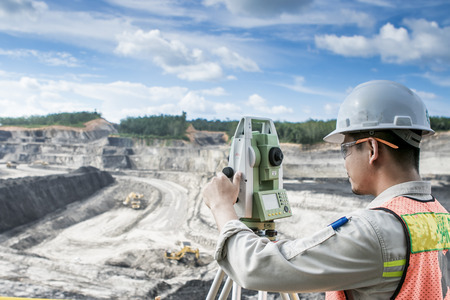 Accurate 3D scans reduce the amount of time it takes to plan and map an area, while even minute changes in placement could yield significant energy results over time. Further, by fine-tuning and optimizing placement and orientation, companies will be able to make the best use of their land, avoiding excessive and unnecessary land costs. Solar energy land surveying in 2018 is going to become a fine-tuned, data-driven process. With the help of UAV/drone technology and better data analytics, solar energy companies will be able to quickly identify the correct placement of their solar panels and install them with confidence. Ultimately, this will produce more energy at a far lower cost to the business, reducing overhead and improving savings related to solar energy.